Torn ACL Surgery (Part 1): Why and When? - Jeffrey H. Berg, M.D. Torn ACL Surgery (Part 1): Why and When? Up to now, we have discussed the anatomy and causes, as well as the symptoms and diagnosis of ACL tears. Now we’ll discuss the treatment of ACL tears, particularly torn ACL surgery. In the first part of this three part series, let’s talk about why you should, or shouldn’t have surgery and if you do, when you should have it. 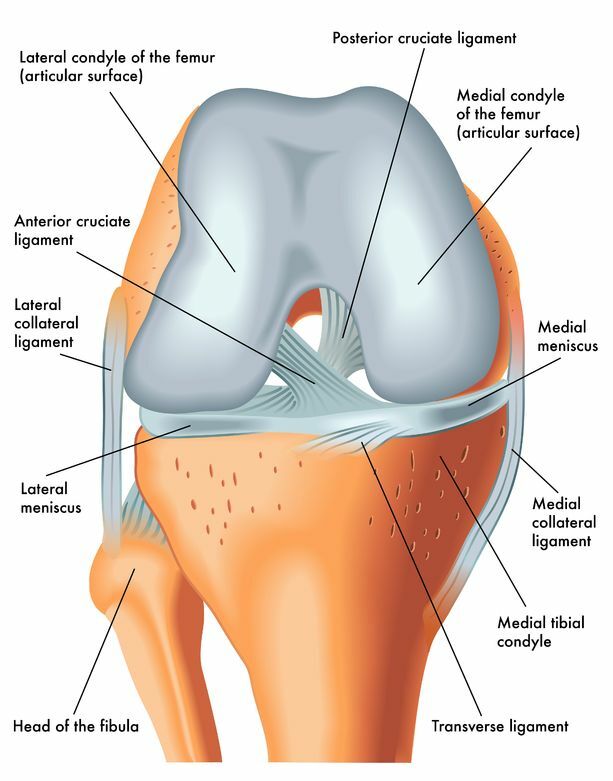 As I previously discussed, the ACL (Anterior Cruciate Ligament) is one of the four primary ligaments of the knee. It is critical in helping to stabilize the knee. Most often injuries occur during non-contact, pivoting activities. Typically there is immediate pain, often a noticeable “pop” or shift of the knee, an inability to continue participating and subsequent stiffness and swelling. Although these early symptoms often resolve over 4-6 weeks, instability during athletic activities or any activities requiring cutting or jumping will persist. These episodes can then lead to further damage to the knee. For this reason, once you tear your ACL, treatment is necessary. There really are only two good treatment strategies once you have torn your ACL: 1. Give up pivoting and jumping activities…or 2. Have surgery. Why is that? Well…For two reasons… 1) Participating in these activities can be difficult. The knee may feel “wobbly” or periodically even give way. When this happens, the knee will often become painful, swollen and stiff all over again. As with the initial event, it can take weeks to resolve, which will then keep you away from your activities even more, and 2) Each time you have a recurrence, you risk doing further damage to your knee, injuring the cartilage, tearing your meniscus and hastening the development of arthritis. So what if you decide to give up pivoting and jumping activities all together, does this guarantee you a stable knee? Unfortunately the answer is “No”. In my experience, of those that try to avoid torn ACL surgery and simply choose to modify their activities instead, about 10% will have persistent problems with simple everyday activities. These people will also then require surgery to prevent instability. Although a brace can sometimes help keep the knee stable during simple everyday activities, for most patients this is impractical. Since instability can often be unpredictable, the brace would have to be used during all waking hours. After an ACL tear, the knee will almost always be swollen, stiff and painful. This is not the time for torn ACL surgery. Surgery is inherently traumatic. Adding this trauma to the trauma from the injury, can lead to a “rocky” postoperative course :-( . After surgery performed too early, excessive stiffness can develop. This can sometimes require additional surgery to correct. For this reason, I, along with many of my colleagues, like to let the swelling, stiffness, pain and inflammation settle down before proceeding with torn ACL surgery. Usually about 4-6 weeks is required. Essentially, when the knee seems good enough that you feel surgery is not needed, that’s when surgery should be considered. Often patients would rather delay surgery to a time that better fits their schedule. Is this OK? Sure. ACL surgery is not emergent or even urgent. 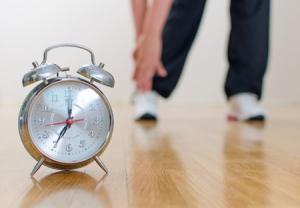 Of course delaying surgery assumes that you avoid all pivoting and jumping activities. As I mentioned above, involvement in these activities could result in further injuries and jeopardize the long-term status of your knee. Take home messages: 1) Surgery is strongly recommended for anyone participating in athletic or athletic-like activities, and 2) Delaying surgery until initial symptoms have almost full resolved is usually best. In the next part in this series, I will discuss how torn ACL surgery is performed and in another post I review some common terms and controversies that you may encounter as you investigate this topic further.